Caprese Stuffed Chicken – Juicy chicken stuffed with sundried tomato pesto, gooey mozzarella cheese, and topped with fresh basil!! EASY, ready in 30 minutes, loaded with FLAVOR, and a family dinner favorite!! 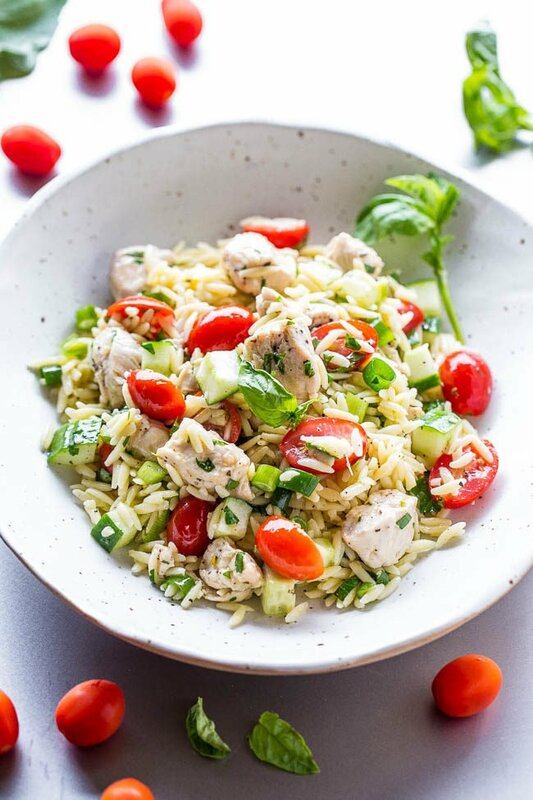 I love caprese salads and caprese flavors so this stuffed chicken recipe is an automatic winner. 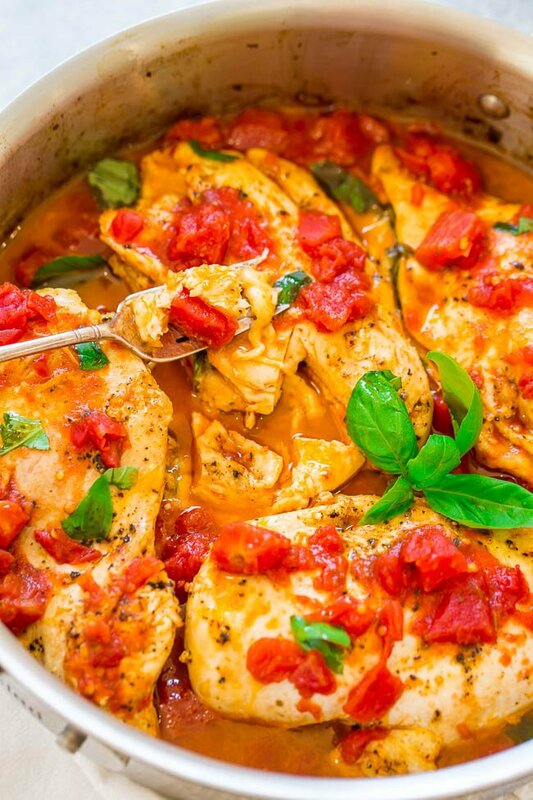 It’s hard to resist juicy chicken stuffed with sundried tomato pesto, fresh basil, gooey mozzarella cheese, extra tomatoes, and topped with more basil. The chicken is easy, ready in 30 minutes, and will become a family dinner favorite in no time. It’s so juicy, packed with flavor, and is naturally gluten-free. Start by making a pocket in each of your chicken breasts using a sharp paring knife. Make sure not to slice the chicken breasts in half, just make an opening that goes about 80% of the way through. When you’re purchasing the chicken, select breasts that are on the thicker side rather than anything labeled ‘thin-cut’ or similar. Next spread a generous dollop of Alessi Sundried Tomato Pesto into each butterflied chicken breast. It’s so flavorful and has the right amount of garlic, salt, and spices to add plenty of flavor to the entire dish. No need for extra garlic, poultry seasoning, much salt, or anything else. This stuff is magic in a jar. The Alessi brand is rooted in deep tradition that started in the early 1900’s when the Alessi family emigrated from their home in Sicily to America. Soon after that Antonino Alessi opened Vigo Importing Company. From this company came the Alessi foods line, which captures the true flavors of Italian cuisine. The Alessi family is still very involved in the brand and the quality, innovation, and value of their products are what makes them so different. They believe that the quality and value of the food you eat enriches your life and they pride themselves on making products that do just that. It’ll make you feel good serving ingredients like these to your family and friends. After adding the Sundried Tomato Pesto, add fresh basil leaves, and mozzarella cheese. To seal the chicken breasts, use toothpicks that are inserted horizontally, almost like you are ‘sewing’ and the toothpick is your needle. You don’t want the toothpicks sticking straight up like fenceposts. You want them flush with the chicken and woven in which will help prevent leakage during cooking. 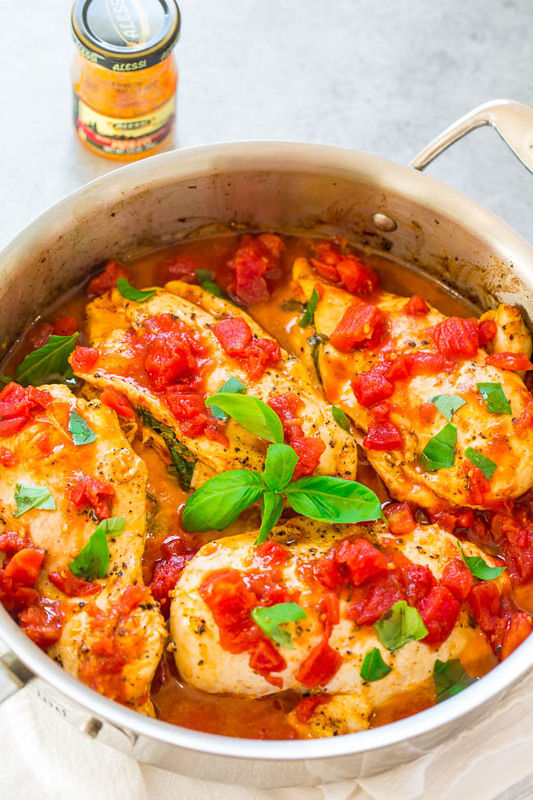 Although some cheese and tomato pesto inevitably escapes, that’s okay because it creates an awesome pan sauce that’s bursting with flavor and you can just scoop that right over the finished chicken. Sear the chicken, transfer to the oven to bake, add petite diced tomatoes (use no-salt added because there’s enough salt from the tomato pesto and cheese) in the final minutes of cooking, and top the dish off with basil and Alessi Balsamic Reduction if you’d like. 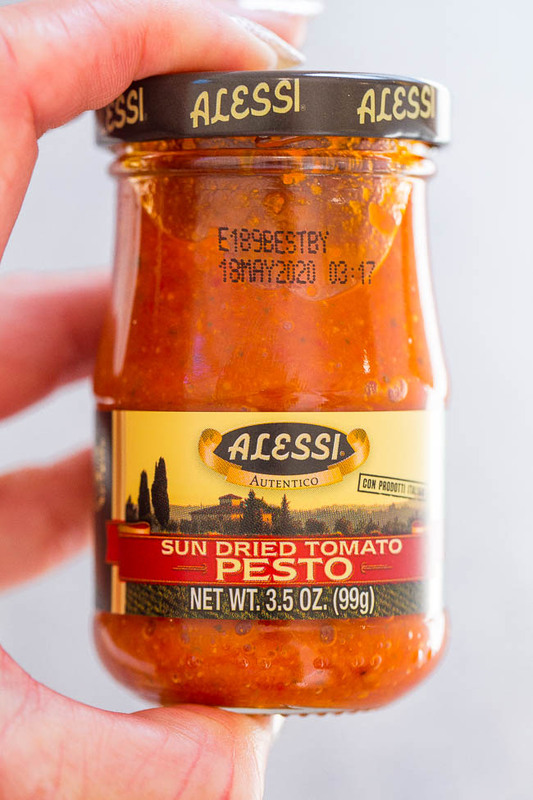 Make sure to look for other Alessi toppings like pates, capers, pine nuts, and more. Preheat oven to 400F. Using a sharp paring knife, make a pocket in each of the chicken breasts, going about 80% of the way through, taking care not to slice all the way through. 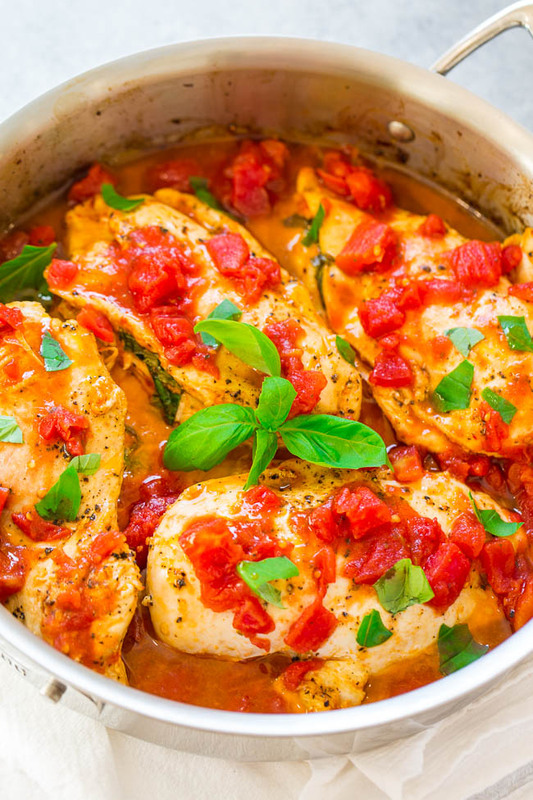 Open each chicken breast and spread about 2 to 3 tablespoons tomato pesto to each breast, spreading it on both the top and bottom interior surfaces. Fold each slice of cheese in half and add 2 slices of cheese to each breast. Add about 4 basil leaves to each and seal using toothpicks that are inserted horizontally, almost like you are ‘sewing’ and the toothpick is your needle. You don’t want the toothpicks sticking straight up like fenceposts. You want them flush with the chicken and woven in which will help prevent leakage during cooking. To a large, oven-proof skillet, add the olive oil, add the chicken breasts, season with salt and pepper, and sear for about 3 minutes per side, or until chicken is lightly golden browned. Transfer skillet to the oven (keep the toothpicks in) and bake for about 20 to 25 minutes, or until chicken is nearly cooked through. 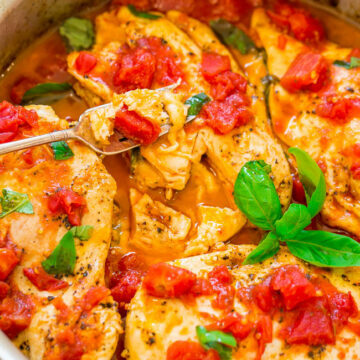 In the last 5 minutes of cooking evenly add the diced tomatoes around the skillet, return to oven, and continue cooking until chicken is cooked through (internal temp of 165F). All ovens, skillets, and thickness of chicken breasts vary so cooking times will vary; cook as necessary until done given your variables. 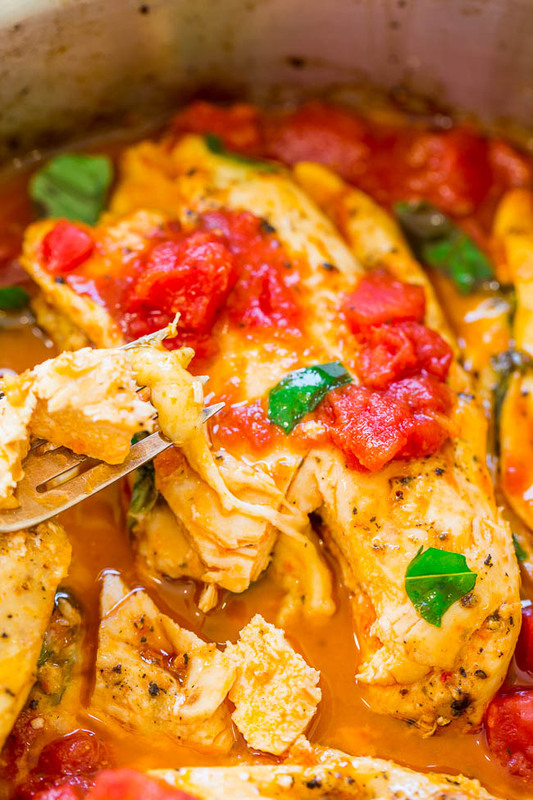 Spoon some of the pan juices over the chicken and garnish with fresh basil, to taste. 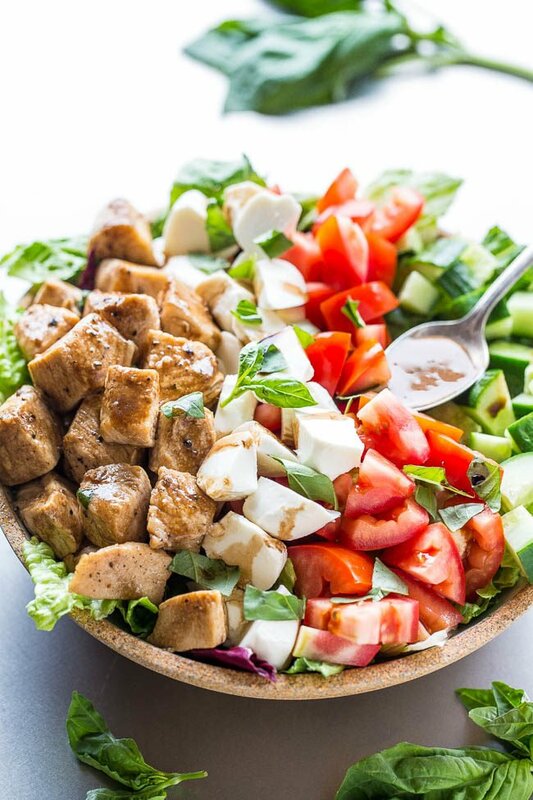 Optionally, drizzle with balsamic reduction to taste and serve immediately. Remember to take the toothpicks out or remind those eating it that there are toothpicks present. Chicken is best warm and fresh but will keep airtight in the fridge for up to 5 days. 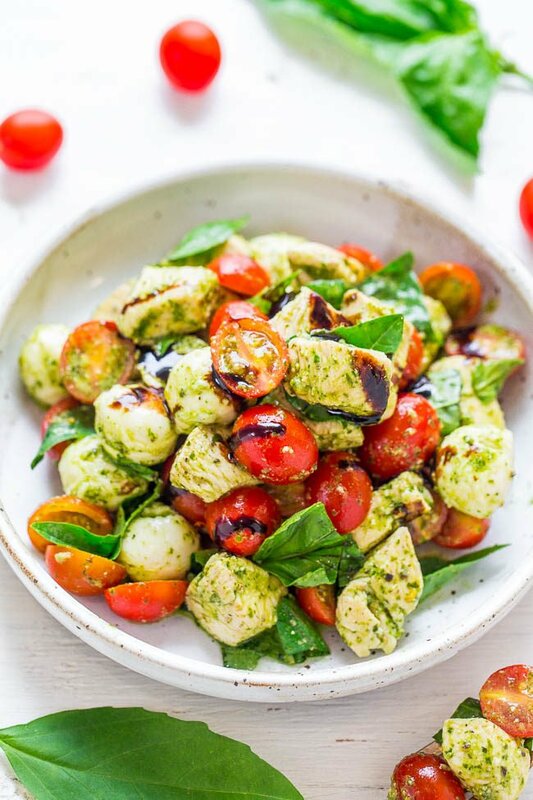 Pesto Chicken Caprese Salad – Homemade pesto coats every bite of jucy chicken, tomatoes, and fresh mozzarella in this fun twist on caprese salad! 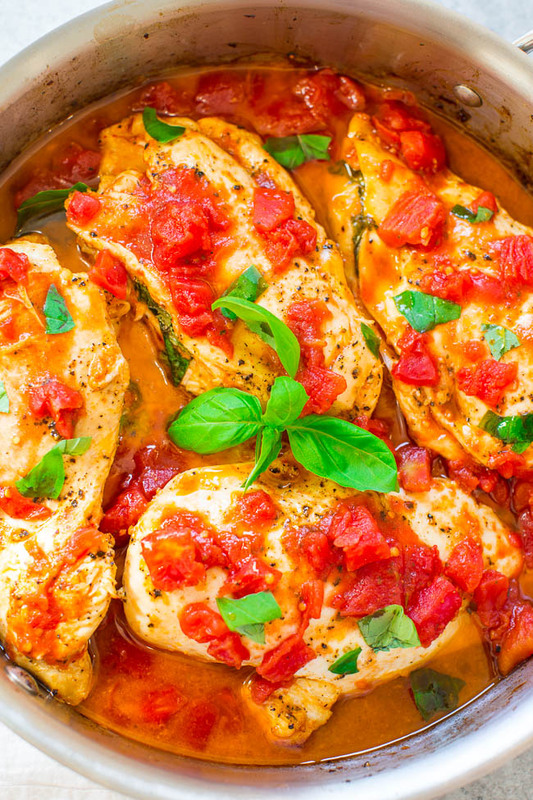 Easy, ready in 20 minutes, and loaded with rich basil flavor! Post is brought to you by Alessi. The recipe, images, text, and opinions expressed are my own. I’ve never purchased sundried tomato pesto but it sounds so flavorful–something I know I’d like! Chicken stuffed with it and covered in cheese also sounds amazing and I’d love to give this a try over the weekend! It has a TON of flavor! I was pleasantly surprised by how much of a flavor punch it packed in a little jar :) LMK if you try this one! This chicken tastes awesome!! I love the pesto and cheese inside….it’s like a little surprise package. I haven’t made stuffed chicken breasts before and this was fun to assemble. We could definitely eat this again and again! I hadn’t made stuffed chicken breasts in ages and I am so glad you tried them too! A surprise package inside is exactly how we felt…so much flavor! 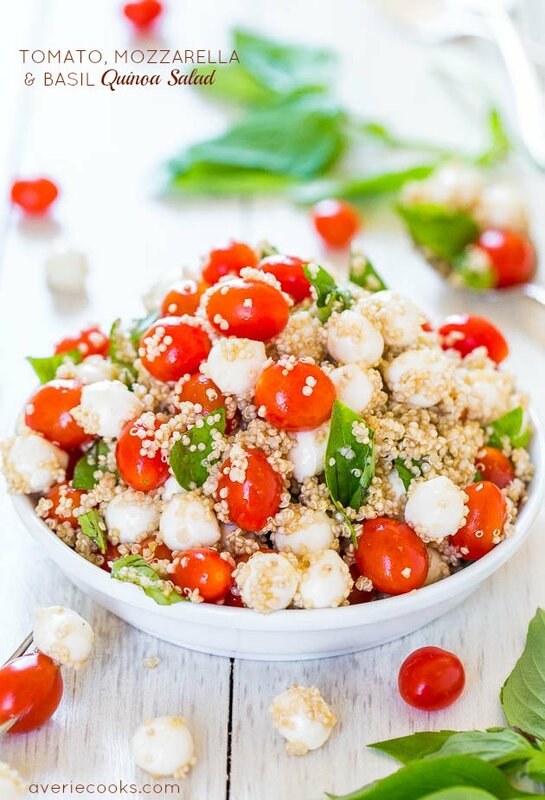 Caprese is my jam! I can’t wait to make this! Caprese is my jam too! Never tire of it! This. New dinner staple. Yes. Sorry, having trouble forming sentences because I’m drooling so much. It’ll pass. I hope. Lol :) Thanks and yes it’s perfect for a new dinner staple! Thanks much! Have a great week! Looks yummy.cant wait to make it.thanks carolann. It looks heavenly, and I just want to smell it. I bet it smells amazing! Soooo good! The pesto packs the best punch of flavor! I’ve looked in all the local stores and can’t find this Alesdi sun dried tomato pest. Sorry that you’re having trouble finding it. I would substitute with sundried tomatoes in oil then, and just place a few tomato slices in each. You could even use the oil from the jar in place of olive oil for a flavor boost. LMK how it goes! Looking forward to trying this yummy dish. Thank you so much for posting such delicious, easy-to-prepare recipes. Just started getting your emails and look forward to trying out many of the meals you post. Wish there was a way to make a recipe box on your site. Thanks for the compliments and glad you appreciate my recipes!